My innate desire to wonder and explore the wonders of our world compels me to create beautiful jewelry for you. I've always loved wearing purposeful jewelry and believe it's important to bring passion, meaning, nature and symbology into the pieces I design. For me, jewelry design is a thought provoking, yet, intuitive process. I think first about why a piece is being created, the meaning of each new design and how it will be worn. The answers usually arrive early during the research phase of design when I begin to look at unique symbols, stones and metals and their meaning. After I discover these artifacts and elements, I incorporate them into different combinations using symbols or gemstones, pearls, or timber with the perfect metal choice. I then rely on a keen inner sense of knowing and employ my intuition in the design process because it leads to spontaneity. This freedom of expression allows the creative muse to emerge so my jewelry is filled with not only a sense of purpose and meaning, but it embodies a sense of wonder as well. Natural elements are intrinsic to my work so I am careful to choose gemstones based on their innate qualities and inherent beauty from ethical, responsible sources in order to produce exclusive designs that combine ancient wisdom and tradition with modern design and conscious business practices. My business embodies a yin/yang philosophy at its core. By balancing the natural beauty of gems and stones with ancient folklore and meaning, my hope is that my work appeals to both women and men and allows my designs to have a unique purpose for everyone. International Chic featured in Vogue. Featured in the International Collections edition of British Vogue, The Desire Pendant has been admired nationally and globally proving that modern jewelry mindful of history and beauty can be desired and celebrated. 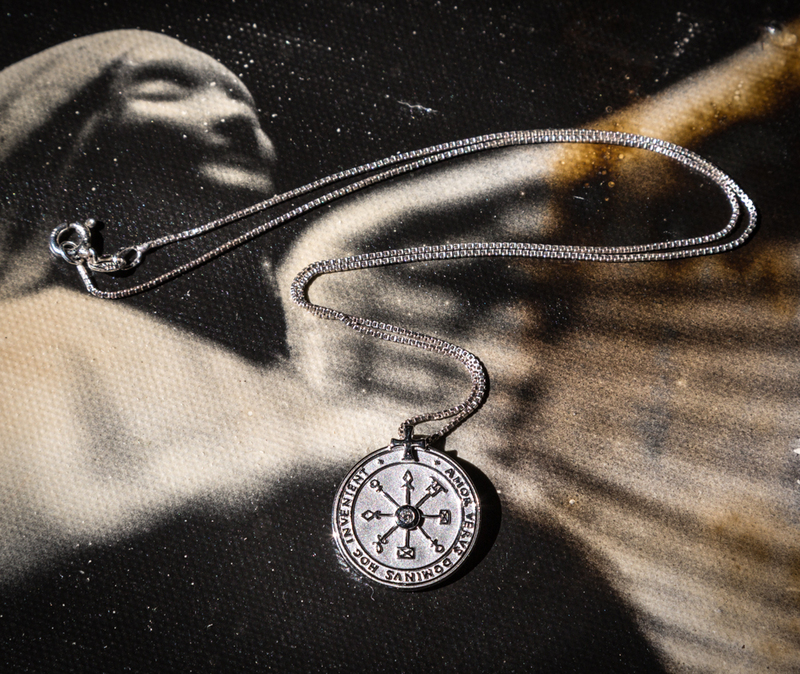 After designing a myriad of other collections, I now focus exclusively on creating powerful pieces that combine ancient symbolism and modern craftsmanship with timeless beauty in The Wonder + Desire Collections. Stay tuned for more offerings to come.